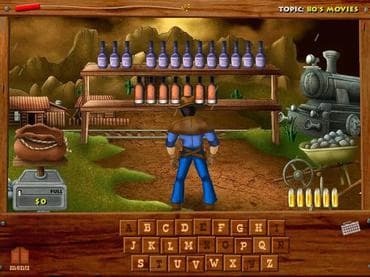 Enjoy the Wild West in this unique hangman game. With stunning hand-drawn cartoons and animations, you will be enthralled as you work to guess about topics like Music, Movies, TV Shows, and more! Test your skills and luck in the unique Last Bullet mode, where Billy only has one chance to win. Help Wild West Billy become the greatest cowboy ever! Free Game features: - Original western music; - Helpful weapons; - 3 gameplay modes. If you have questions about Wild West Billy game, please contact us using this form.